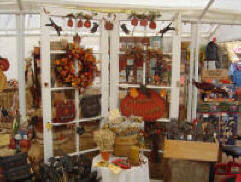 Come visit our country store at our Fall Harvest Festival during the month of October. We have all of your Halloween decorating needs as well as various Thanksgiving and Christmas items as well. Don't miss our Fall Harvest shirts and new Underwood hats and water bottles! It's often hot and dry during October, but not to worry- we have sunscreen, cool-ties and refreshments to cool you down as you hunt for that perfect pumpkin!